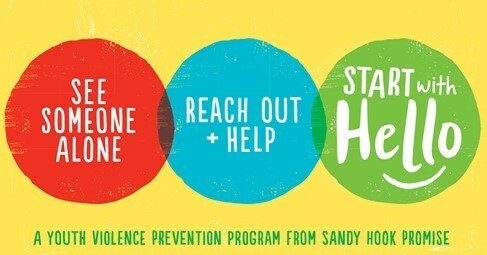 Moulton Middle School is excited to be a part of the Sandy Hook Promise. During the "Start With Hello" initiative that runs September 24th-28th, students will be learning about the importance of connecting with their classmates to foster a collaborative school culture. All students in grades 4th-8th will be learning about ways to prevent social isolation through simple conversation starters. We encourage parents to join in our efforts by reading over the Start With Hello parent brochure. You can find the parent brochure by clicking on this link: Start With Hello Resources. So go say hello!